AMI, Bristol, 07/03/13 – A new report from industry consultants, AMI Consulting, published in March 2013, reviews the demand for the retortable packaging solutions and the existing supply. Retortable packaging is used to supply shelf stable long-life food products. 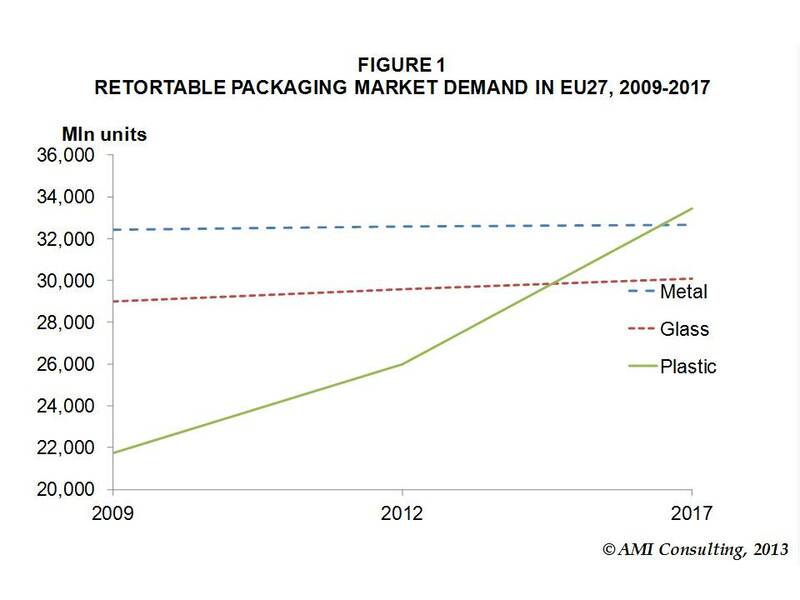 Currently the EU27 market uses 62 billion metal and glass containers and 26 billion units of plastic retortable containers. The ambient long-life food sector development is challenged with its market positioning and consumer concerns about quality in comparison with the chilled and/or frozen variants. Canned meals are perceived as inferior quality, less fresh and less authentic products, though their lower price-point and efficient production are key advantages. The segment is in need of modernisation, which can be done with the use of new plastic packaging solutions, and their improved process technology to deliver higher quality, long-life food products. Plastic packaging has the potential to re-vitalise mature markets such as soup, canned fruit, vegetables and fish, by introducing convenient, added value containers suited to modern day living. Over 90% of incremental demand for retortable applications until 2017 is expected to be satisfied with retortable plastic packaging solutions. Long-life barrier properties are created using a variety of technologies. Co-extrusion is a well established production technology in Europe and it is expected to be the main contributor to the increase in retortable plastics penetration in the shelf-stable applications, leveraging the growth on the industry familiarity, reduced operational risk and low barriers to entry. Parallel to co-extrusion, another barrier technology emerging is co-injection. A lot of European converters are either considering or already testing the technology with a number of commercial applications imminent in the foreseeable future. Other technologies include lamination (pouches), barrier blow moulding, barrier in-mould label (B-IML) and special coatings. Managing the so called EVOH retort shock is of critical importance for the success of barrier plastics in the replacement of metal can and glass jars. The technical requirements mean material and additive suppliers have a major part to play as well. 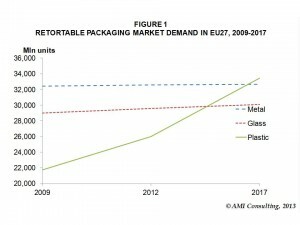 “Retortable Packaging in Europe” is a detailed multi-client research study published in March 2013. This report is aimed at assisting industry participants and investors in anticipating change, formulating response strategies, directing R&D investment, and proactively managing the threats. It focuses on EU27+3 markets, across different applications.